General. This place is called the "white village" because of the white painted houses that make it such a picturesque spot. 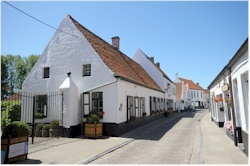 It was even elected as one of the 10 most beautiful villages of Flanders. 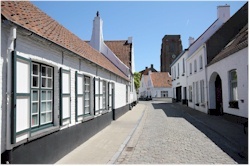 Although it is located very closely to the port of Zeebruges, Lissewege maintained its charm as a so-called "polderdorp" (polder village). The surrounding polders are luscious green and fertile and have attracted farmers since centuries. Several very old farms are silent witnesses of that past. Lissewege is mainly known for two exceptional monuments: the church of Our Lady Visitation, which looks way oversized for such a small village and the monumental gothic barn of the former Ter Doest abbey, the oldest and biggest in its kind. Brief history. Under impulse of mainly the abbeys, dikes were built to reclaim land from the sea. Before that period, the area between Bruges and the sea consisted of salt marshes. The area was partially flooded with navigable inlets and a few higher lands that were also dry during high tide. The earliest settlements, such as Lissewege, arose on these higher spots, where agriculture was very basic and limited to activities such as sheep herding. In 1106, Benedictine monks founded the abbey of Ter Doest on the cleared lands that proved to be very fertile. According to a legend, the church was built on the place where fishermen found a miracle statue of Mary. Although the village was of modest size, the 13th century church was not. Lissewege was a stop for pilgrims on their way to Santiago de Compostella, so the construction of the monumental church may have been funded by donations from these pilgrims. During the religious troubles, Lissewege was not spared. 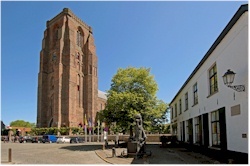 The church was ravaged in 1586 and the abbey of Ter Doest destroyed with the exception of the gothic barn. Repairs and restorations were done decades later. 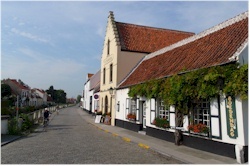 Lissewege was an independent community until 1971, when it became a part of Bruges. 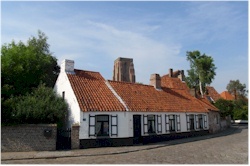 Picture 4: center of the village with on the left 16th century tavern "de Valckenaere"
Picture 5: view near the canal "Lisseweegse Vaartje"